The melting point of culture, heritage and history, Gujarat, impressed me the most with its lavish vegetarian spread. If India has earned global recognition for its rich range of vegetarian delicacies, Gujarat with its extravagant vegetarian fare has a lot to contribute to the fame. And one particular Gujarati dish has become my favourite. It is none other than their popular Sev-Tamatar Ki Sabzi. My love affair with sev didn’t end here. As I strolled down the streets, I spotted the crunchy delicacy in several snacks like Bhelpuris, Dabeli and Raj Kachoris. Sev is a noodle-like crispy snack made of gram flour or chickpea flour typically seasoned with turmeric and ajwain (carom seeds) before being deep-fried. The thickness varies from preparation to preparation. Sev is used in several Indian dishes and snacks as a main ingredient or mostly as a crispy garnish. Ratlami Sev from Ratlam in Madhya Pradesh, made from cloves and chickpea flour, is a renowned sev variety across the country. “Sev is very versatile. You can have it by itself or mix it on top of any street food or chaat and it will just elevate the flavour and texture of the dish. 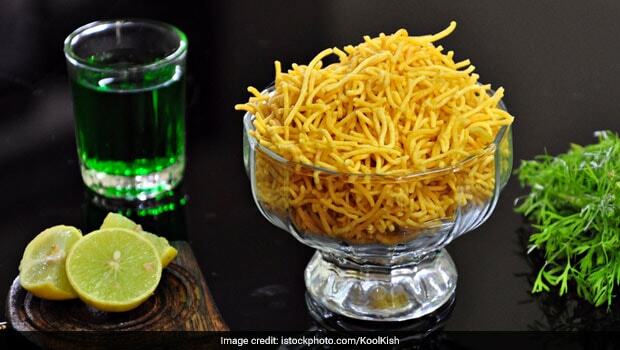 If you travel around Gujarat and Mumbai, you will find many different snacks that use sev. For instance, the Sev Puri, Ragda Patties, Dabeli Chaat and Katori Chaat. All of them will be incomplete without a sprinkling of sev. 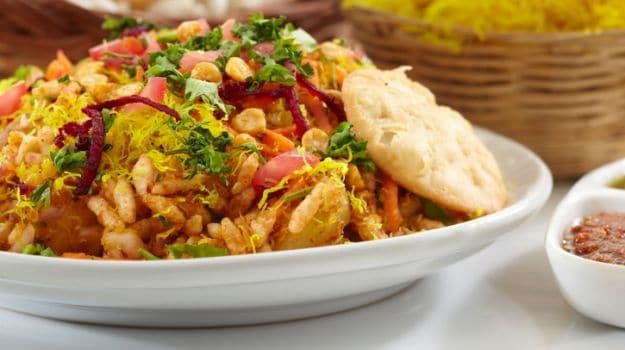 If you go up North towards Delhi and Jaipur, you’ll find chaat items like Raj Kachori, Pani Puri, Sev Puri and Aalo Chaat decorated with sev. In Madhya Pradesh, you will find locals relishing on Sev Poha or a snack of peanuts with sev,” he adds. There are small manual machines available to make sev where you can feed the batter and it can help you extract uniformly fine sev. If you are making sev at home, make sure the oil is hot otherwise the sev won’t come out as crunchy. According to Chef Gurpreet, mustard oil are the best to fry your sev. Add a hint of spices like cloves, carom seeds and cayenne pepper to the batter to give it a spicy edge. 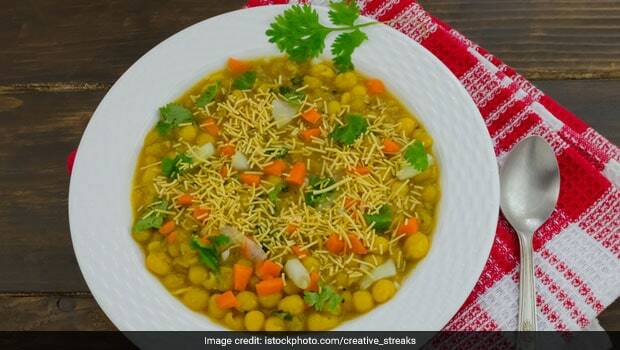 Here’s a lovely recipe of Sev ki Sabzi, you can try at home. 1. Crackle the cumin seeds in hot ghee, add in the onions and saute for two minutes. 2. Add in the ginger and the green chilies, fry together with the onions for 5-7 minutes on a medium flame. 3. Mix in the turmeric powder, the red chilli powder, and coriander powder. 4. Deglaze the pan with a little water, Add salt and let the masala cook uncovered, on medium heat, for 7-8 minutes. 5. Add in the diced potatoes and radish, mix well. 6. Add half a cup of water, cover and let cook on a low flame for 15 minutes or till the vegetables are tender. 7. Stir in the fresh yoghurt, and continue cooking on a medium flame for 2 minutes. 8. Add in the moti sev, stir well to coat the sev with the masala. 9. Add in 3/4th of a cup of water, and let the sev ki sabji cook uncovered for 5-7 minutes.